The first settlement agency started in 1967, with numbers growing to 30 by 1972. After much concern that no legislation governed settlement agents, and following much dispute with the legal fraternity and political lobbying, the Settlement Agents Act 1981 was proclaimed. 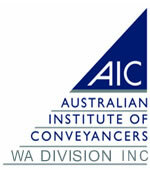 A Settlements or Conveyancer attends to your settlement either a sale or a purchase. They make sure that the property is correctly identified and all the parties involved then the property can be conveyed (transferred) from one person to another. do title searches, electronic advice of sales to Shire, Water Corporation, Land gate and Office of State Revenue. Raise paperwork for you to identify lot, sign transfer of land, OSR residential rate forms, research property and inform you of interests notified from land gate system. 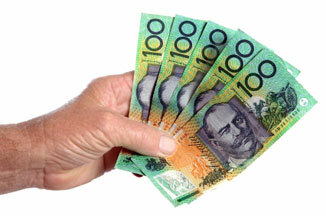 Co-ordinate broker/bank manager to attend settlement, and organise cheques needed from your bank to pay seller. Complete all statements and final letters and send to you. 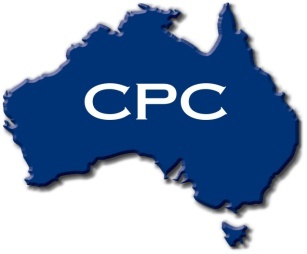 The title of Certified Practising Conveyancer (CPC) is awarded to conveyancers who annually meet the standards set by each Division to maintain best practice through constant professional development. Conveyancer members who qualify annually are entitled to use the CPC title, CPC post-nominal, CPC logo and slogan on their stationery, advertising and on other forms of publicity. It is a brand recognising conveyancers who are making the effort to keep up to date with developments and technology in order to deliver the best service. The national review is also considering replacement of the state logos with a national logo which is recognisable by all as a symbol of the best specialist conveyancers. Settlement agents are de-regulated and can set their own fees which must be disclosed to the client in writing prior to entering into any agreement. Agents must not receive a fee above the disclosed amount unless there is a significant change in the scope of the work. Prior to being appointed to act by the client, settlement agents are now required to provide their client with a written costs disclosure which sets out the maximum amount the settlement agent can charge for their services. This amount must include all fees, commissions, charges and general office disbursements (e.g. photocopying, postage, stationery, telephone calls, facsimiles, courier costs etc.) that the settlement agent will charge the client for their settlement transaction. Commissions charged by a real estate agent, developer or any other third party. Property Exchange Australia LTD's (PEXA) single transaction service fee will be incorporated into the maximum service amount that settlement agents disclose to you.